Just 20 miles from Dublin, 6 miles from Trim, Navan and Dunshaughlin, The Station House Hotel is in the heart of history itself. From Dublin airport take the M50 to the M3 (J6), then follow the M3 until the J6 and take the R125 and follow the signposts for Kilmessan. 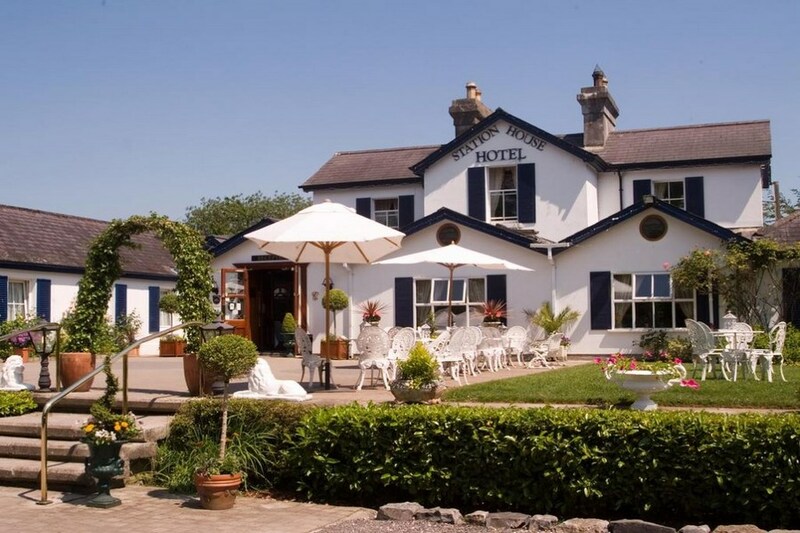 Just 20 miles from Dublin, 6 miles from Trim, Navan and Dunshaughlin, The Station House Hotel is in the heart of history itself. Food was lovely, friendly staff. Unfortunately room was a bit small for 2 adults & 1 child. staff friendly and welcoming. rooms a bit over crowded with furniture but clean and comfortable. food delicious. Lovely old worldie setting. Friendly and efficient staff fabulous food and spotlessly clean. I will cetainly be returning and recommending it to friends. Exceptionally friendly staff, very cosy atmosphere with a proper fire. Both Dinner and Breakfast were of a high standard. We enjoyed our stay. Lovely quaint hotel, staff very friendly. The atmosphere was very welcoming,with a lovely open fire in the lounge and the food in the restaurant was fantastic and great value. The breakfast the next morning was really lovely with home bread breads and jams. The grounds are really well planned and well kept, I would really recommend this hotel for a quiet break.